The Open Water Course is set up to teach each student the fundamental knowledge, skills, and safety procedures to dive recreationally on open circuit SCUBA to a maximum depth of 60 feet. The class is divided into 5 sections, all of which must be attended and passed for completion of this life time certification. 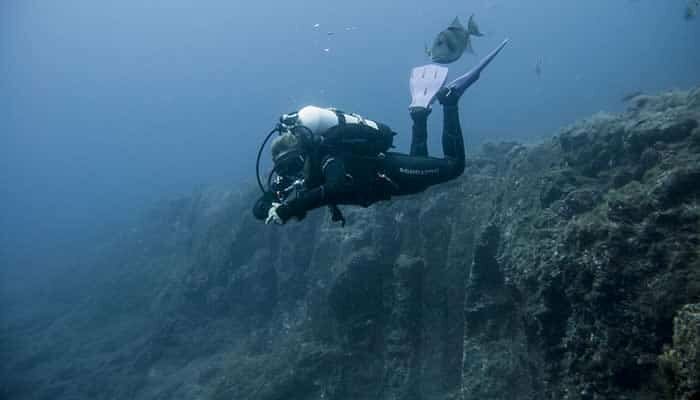 Upon receipt of payment, each student will be sent the Open Water Diver manual & workbook, medical & liability waivers, gear sizing charts, student agreement, and options for upgrades to provided basic personal gear packages (mask, snorkel, fin). If you already have access to personal gear bring them on by the shop so we can make sure they are suitable and serviceable for SCUBA diving. Private & Solo classes and referral learning available on request.